President Olusegun Obasanjo says some leaders of the (PDP) are after their pockets and stomach. Speaking when he received regional leaders of the party in Abeokuta, Ogun state capital on Monday, the former president advised the opposition party to get committed people on its side. He said Nigeria needs a vibrant voice and opposition with a view to building a virile democracy. 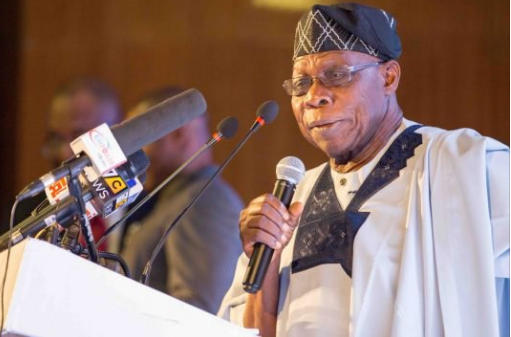 Obasanjo said he was willing to support genuine efforts from those who were passionate about the interest of the country. “I knew PDP would lose the election in 2015 because it was clear, and I knew PDP will need to be rebuilt after losing the election,” the former president told his guests. "You see peoples’ faces beautiful but you don’t know what each person harbours inside of him. If you discover a bad egg, remove such a person and if such person has learnt his or her lessons, there can still be room to accommodate the person.